Clans of Ireland note with regret the passing of Peggy Carty O'Brien, who died in the Galway Clinic on 5th February 2017. 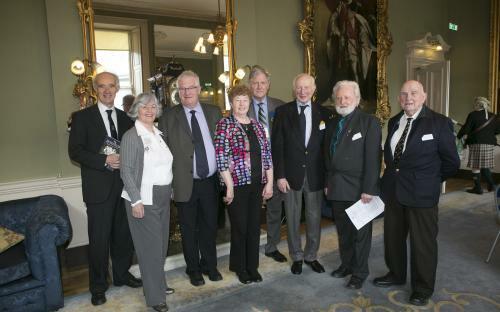 Peggy served as a member of the board of Clans of Ireland from AGM 2004 to AGM 2006. She was Chieftain of the Carty Clan. Peggy is pictured 2nd on the front left in the group picture of former (Retired) board members who attended AGM 2014.